Wedding Bells-What are the legal issues surrounding marriage? A wedding is a special event in any person’s life. It often involves friends and family coming together to celebrate the love of two people who wish to spend the rest of their lives together. 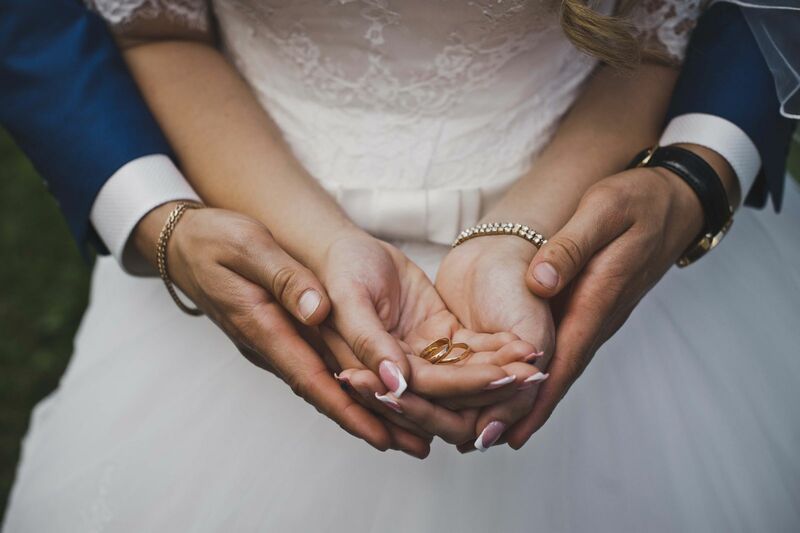 The State of Illinois has several requirements before allowing two people to marry, and there are many important issues to consider before getting married. Once you are married, it is certainly true that your life will never be the same. The State of Illinois prevents a person from getting married until they are 18 years of age (16 years, with parental consent). The State also requires a person to not currently be married to anyone else. This means if you were previously married, you must be legally divorced before entering into another marriage. The law also requires that the two people not be closely related, which is defined as siblings, parents, aunts, and uncles, and usually first cousins. There are very specific circumstances in which first cousins can be married in Illinois, but they must be over 50 years of age, and one of the cousins must be sterile. The law also requires that both parties be mentally competent to enter the marriage. This seems like a lot of restrictions, but the State of Illinois has an interest that marriage not be entered into without careful consideration. Once all requirements are met, the happy couple may apply for a marriage license. It is important to note that the license must be obtained at least one day prior to the ceremony, and no more than 60 days before the ceremony. It is also important that the marriage license be obtained in the county where the wedding is taking place. If you are getting married in a different county than you live in, this may be an important consideration to pick up from the Clerk of that county prior to your arrival. Once obtained, the officiant needs to sign the license within 10 days of the ceremony taking place and file it to the County Clerk. Once you jump through all of those legal hoops, you will be happily married. A marriage comes with many legal responsibilities, but also some significant benefits. First, from the day you are married, there is a joint responsibility of family debts. In addition, the money made after the wedding is typically considered marital assets. This can be significant if there is a divorce down the road. Second, there is a presumption that any child born after the marriage is official is a child of both parents. This can create child support obligations for any and all children born during the marriage. Last, if the marriage is unsuccessful, you will need to go through a dissolution of marriage, which can be a lengthy and expensive ordeal if the matter is contested. Thankfully, there are many more benefits than obligations from getting married. First, you have significantly more hospital rights if either of you are injured or ill. You will have the default right to receive medical information, and make decisions if your spouse is incapacitated. Second, there is a presumption that a spouse will inherit property after the death of their partner, which can solidify long-term financial security for the family. Third, there are typically significant tax benefits from becoming married when reporting taxes. Last, and most importantly, you will hopefully have a long partnership that is full of love and deep connection. A wedding is not as simple as many people believe, but it can often be a very pleasant experience. The important thing is to properly plan for the legal hoops that must be jumped through, and to recognize the legal impact of getting married. If you do those things, you will surely benefit from the love and friendship of your new spouse.